Brisbanites will have access to an innovative double decker public transport tunnel which will accommodate both rail and busway services under the new “UBAT” (underground busway and train) tunnel. The project is budgeted at $5 billion, around $3 billion less than the previous Cross River Rail proposal. Premier Campbell Newman announced the Underground Bus and Train project, a 5.4 kilometre tunnel with two train lines in the lower section and two busway lanes in the upper section. “We’ve taken two of Brisbane’s major congestion challenges – the Merivale train bridge and the Cultural Centre bus precinct – and come up with an affordable and elegant solution. “The project we are announcing today delivers the public transport services needed for the next 50 years. Mr Newman said a public competition would be held early in the New Year to come up with a name for the project. Lobby group Rail Back on Track described the UBAT plan as exciting and welcome news, but spokesperson Robert Dow said it must be constructed with future capacity demands in mind. “For example, new rail stations should be constructed in a space to allow nine car trains, and the bus tunnel segment must be of such size to allow rail or light rail modifications down the track,” Mr Dow said. National industry group The Tourism and Transport Forum said the UBAT would be a world first that would future proof Brisbane’s public transport system. The tunnel would go underground at Dutton Park in the south to Victoria Park in the north. 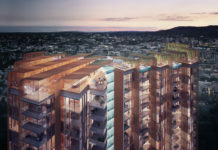 There will be new stations at Woolloongabba, one under the new entertainment and casino precinct on George Street, servicing QUT and another station under Roma St.
“This will be a major economic boost, creating hundreds of jobs and new pathways for business to grow and develop in Brisbane,” Mr Nicholls said. 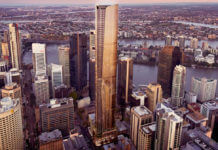 “This is a once-in-a-generation opportunity to transform Brisbane into a world city with a public transport system to match,” Mr Emerson said. “This city has had two groups of engineers working on two solutions for two major issues. Lord Mayor Graham Quirk said cooperation between the State and Council led to an innovative solution that advanced multiple transportation deficiencies. “When completed, the project will result in significant travel time savings across the suburbs. “The CBD and adjacent suburbs will need to accommodate an additional 130,000 workers in the next 20 years and we need to improve public transport capacity to accommodate this growth by improving the network. The project will now pass to the Coordinator-General to assess the environmental impacts. Resumptions will include Dutton Park train station, however only minor impacts on other properties are expected. 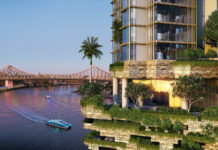 There were 108 residents and businesses affected by the former Cross River Rail project – including 82 properties in the Yeerongpilly area – that will no longer be resumed. Like CrossRiverRail, this has the potential to be great but only if they future proof it. The concept drawing only shows 1 rail track in each direction, which seems very limiting given that there are 4 rail tracks on the current inner-city lines. Bus may be ok with 1 lane each way as buses can still be split with the existing SE Busway through South Brisbane. Also is there a reason why there is such a big dog-leg in the route between Woolloongabba and George St instead of a more direct alignment? Love the plan as well. Only thing I’d change would be to make the trains double deckers like in Sydney. I like this idea. Maybe needs four train lines. Far cheaper than the old Labor plan. What about transferring trains though at Dutton park. Please do one thing though. In the tunnel build turn outs (unused ) for future underground lines. Good idea, but Dutton Park Station needs to stay. There must be an solution that provides the tunnel and Dutton Park Station. who’s got construction contract for that job? Re Bus and Train 5 billion development Dutton Park to Herston, I think a total rethink is required. We have South East and Northern Bus ways completed, and were built to replaces with Little Rail in the future. By coordinating all current Busways and built a Little Rail system incorporating the suburbs of Kangaroo Point through East Brisbane, Gabba, High Gate Hill through Westend a new cross river bridge connecting Westend to Park Road Milton, across Milton Road up Baroona Road, Fernberg Road, Given Tce, Latrobe to Enoggera Tce, back to Musgrave Rd connecting QUT Campus Kevin Grave, through to Herston and RBH, O’Connell Tce, Mayne Rd through Edmonstone St, to Newstead on to New Farm and a new cross river bridge to Kangaroo Point. Including in the plan is a free CBD Tram to replace the current 333 CBD Bus Service, and run a tram service New Farm to Valley- City via Ivory Tunnel up Queen St and straight up the Queens Mall across the Victoria Bridge servicing Melbourne St South Brisbane and Boundary St Westend, following the current 199 bus service. Eliminate all traffic from CBD except , public transport Tourists Buses Limousines, light trucks, couriers and taxis only exceptions. All bus and trains to terminate Milton, Bowen Hills, South Brisbane, Gabba and Herston Train and Bus Stations and coordinate all services with high frequency tram services to all CBD areas. Ban all on street parking, giving the government cheaper options and space to build and design this concept and complex light rail alternative. Roma St, Central, Brunswick St Railway Stations be replaced for light rail. It must be worth a look at least. I seek comments please. Regards, Michael Powell Riverhills Brisbane Qld. As a retailer in the Myer Centre and user of the public transport system for commuting from the western suburbs for the past 12 years I applaud this great idea, however I have the following suggestion and reasons for it. I agree with everyone who has commented that we have one chance to get this right. I believe that we should have a third CBD station located in the Queen St precinct. be affected in a similar way. How will anyone arriving on any bus from the current busway or southern suburbs which will still run through the Cultural Centre and across the river connect to get to William street/QUT? Will they have to travel to Roma St then backtrack from there? Whist I understand that the William St precinct is not currently well serviced with public transport, by not providing a stop in the Queen St area we are in danger of fragmenting the arrival/departure and connecting of services even further. I am sure that by far the great majority of commuter, retail and tourist traffic movements centres around the Queen St mall and immediate area. Whilst it might seem that having two stations only as far apart as William St and Queen St as overkill this is what quality public transport and future proofing the system is all about. Certainly building it now will prove much more cost effective than trying to retro fit the service at a later time. Anyone who has been to Paris will know that in the Metro you can often see from one station along the track to the next station they are so close. Ideally the bus/ train link should hook into the current bus tunnel system either under the current Queen St bus station in the Myer Centre, with direct access to the Mall and the busiest node in the city or at least King George Square Bus Station. An alternative to this if this is not feasible is to locate a station under Redacliff Place depending on proposed routing, geological and cost considerations. Finally I would suggest that on completion of the three stations, eg, Roma St Queen St/Redacliiff Place and William St that travel between these three stations should incur no extra fare for ongoing travellers to these destinations or for inner city clients moving from one of these stations to the others. That would be a truly world class idea! hmmmm, I am a little confused. Why are there buses in this tunnel? What purpose do they serve? Buses require people to drive them and they use much more energy than trains. Both of these factors lead to higher costs and more carbon pollution. The tunnel also needs to be significantly larger to manage the buses therefore making it more expensive to build and maintain. Long term having buses will cost more and be more hazardous. We should stop living in the past where we are creating jobs just for the sake of jobs. More jobs sounds like a great idea but I have no doubts it is also a major reason why our public transport system is the most expensive in the world. We should be looking to take the buses out of the city as much as possible and have them instead directed to major suburbian train stations (e.g. like the major transport hub that will exist at Woolloongabba now) which them have fast dependable trains to take people into the city and other areas. Lets be smart about this and look at the big picture! I also agree that there should be a Queen st station. We need a subway system within the inner city fringe. just like most of major cities, they have the subway system which provide the service until mid night, and you can catch the next train every 5 minutes, this would dramatically reduce the congestion in the CBD.